THE QUALITY YOU DESERVE! Custom home loaded with upgrades and nestled onto over ½ acre cul-de-sac lot backing to woods! Over 5,000 SF on 3 luxurious levels. Two, First Floor Master Suites (perfect for combined households) one with a whirlpool Bath. Amazing, “must see” Kitchen with extended island, walk-in pantry & wrap around “cherry” cabinets. Great Room has custom built-ins and stone fireplace. Finished Lower Level has Recreation Room, Billiards/Theatre Area and Bath. 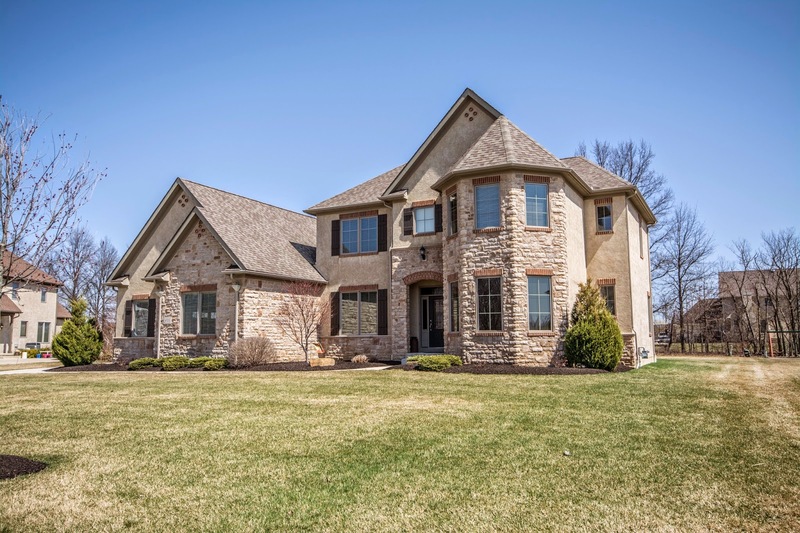 10 foot ceilings, 8 foot doors, custom built-ins everywhere and stone, cased arches! Too many extras and upgrades to describe! 5 BRs, 4 Full & 2 Half Baths. Olentangy schools. Only $799,900! Call DeLena today!